Visit the Pro Shop and stop by the Tee Time Cafe for great food. Enjoy our 4 large ponds and grounds on this beautiful 62 acre property. Fun for all ages. Bring the whole family. A great way to spend the day. 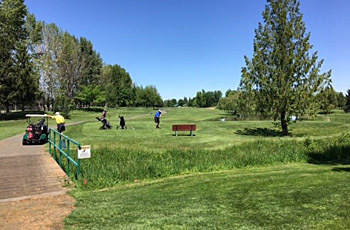 Stewart Meadows, the jewel of West Medford, is a very walk-able nine hole course, distinguished by a beautiful and challenging layout. 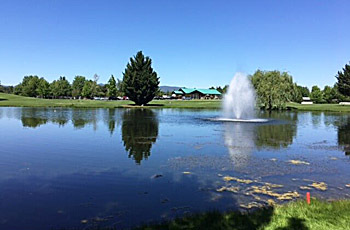 It includes four large ponds, 39 sand traps, over 800 trees and a creek which bisects the 62 acre area. 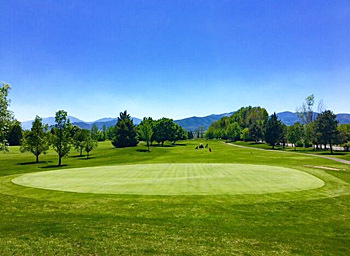 The course is managed by Dan Coughlin, a Class A PGA Golf Professional. 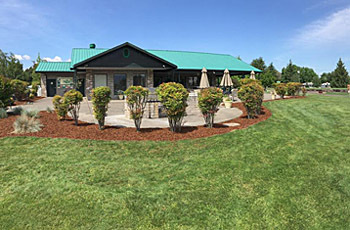 Stop by the Tee Time Cafe and enjoy a great meal or refreshment. Our friendly staff is waiting to help or answer any questions you may have. "Where the rough is more forgiving and the greens are too kind."